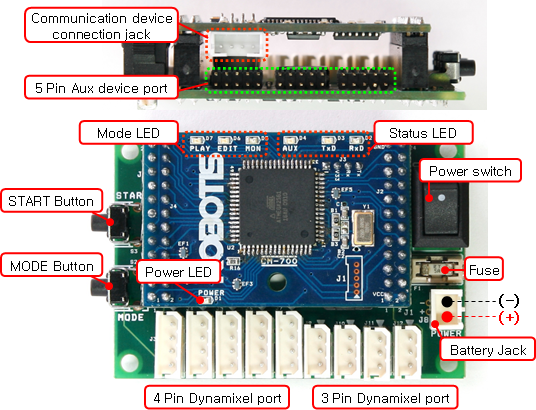 The CM-700 is a new robotis controller with an onboard programmable CPU, simultaneous TTL / RS485 (that means AX-12/18 servos and DX/RX/EX servos on the same bus) communication circuit, and ZIG-110 connector. CM-700 SUB Board is composed of a power department, connector department, switch, and an additional circuit for 5 pin peripheral devices. Please note: The CM-700 requires an LN-101 USB Downloader to program it. اولین نفری باشید که در مورد درایور سروو موتورهای داینامیکسل CM-700 نظر می دهد.